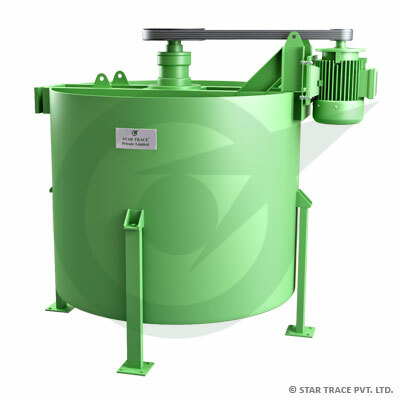 Agitators | Copper Extraction Equipment | Star Trace Pvt. Ltd.
Agitation tank is the necessary equipment that regularly mixes the drugs and slurry, increases pharmaceutical drug reactions. Agitation tank uses motor V-belt driving impeller to rotate. Regularly mixes the drugs and slurry, increases the role of pharmaceutical drug reactions and enhances the quality reaction time. This machine applies to the mining dressing and also used as a variety of chemical industry trough cake mix.